We are very happy to announce a new edition of Variable 4, taking place in September 2014 on Portland Bill. At the tip of the promontory of the Isle of Portland, Dorset, Portland Bill marks the southernmost point of an ancient stretch of Jurassic coast. Its rich maritime history and exposed weather conditions will undoubtedly create a perfect landscape for the piece. The installation is a part of b-side Festival 2014, a pioneering art festival commissioning new site-specific works across a range of media. We’re proud to be alongside an excellent collection of artists. 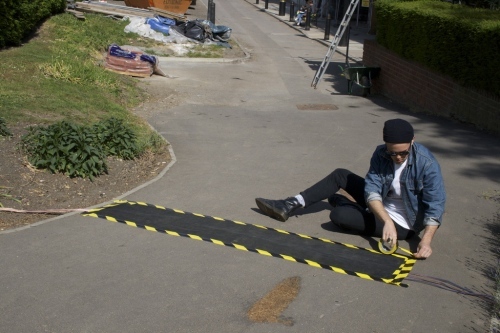 Variable 4 will be installed from 5th—14th September 2014. Travel and access information will be available in due course on the festival website, or via our mailing list. 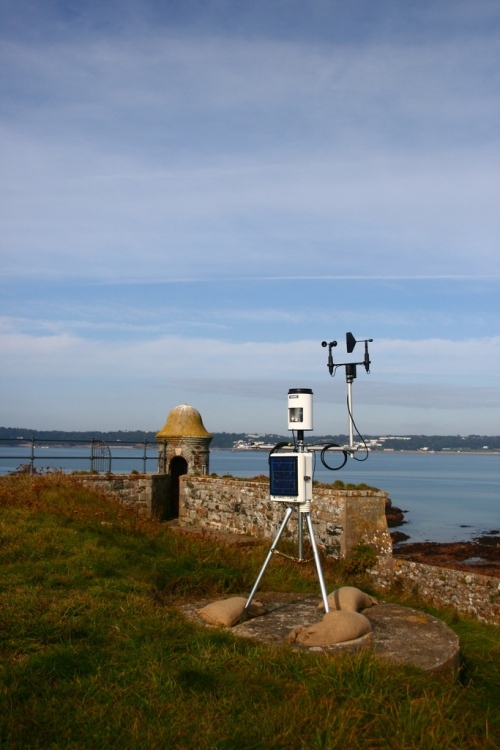 Over the Channel to Jersey, and across the St Helier causeway to the ramparts of Elizabeth Castle, the recent four-day Variable 4 installation at Branchage was a true adventure. 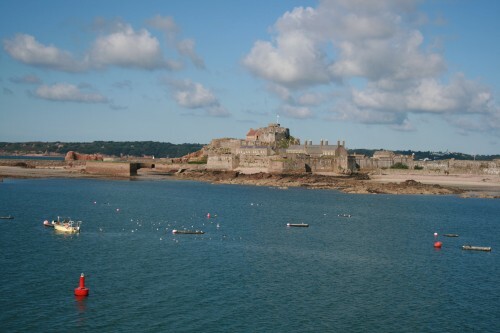 We inhabited the castle (below) for almost the duration, housed in a WWII bunker beneath a grassy verge, overlooking oceanic vistas and craggy rocks. Though we were continually buffeted by the promontory’s unceasing winds, Variable 4 has yet to break its curse of rainlessness: four consecutively dry days made for a temperate installation. Thanks to everybody who came to visit, and to all of the team at Branchage for their endless support. The bunker that became Variable 4 HQ for the duration. 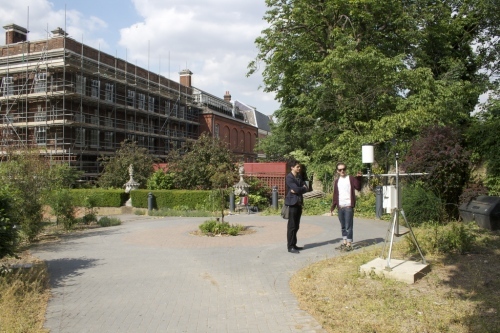 Sam (on the left) became the honorary imp of Variable 4, here pictured explaining the details of the meteorological equipment to a group of newcomers. It’s with great pleasure that we can announce the third appearance of Variable 4 — and the first overseas (albeit still within British territory). 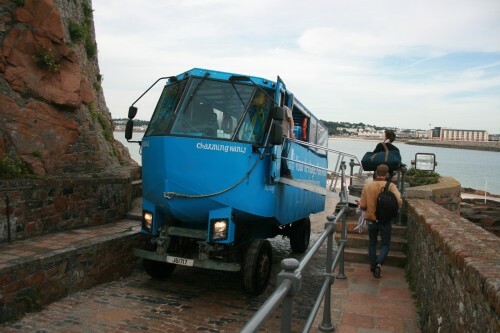 From 22nd to 25th September 2011, the piece will be installed at Elizabeth Castle, Jersey, in conjunction with the Branchage film festival. This also the first time that the piece has operated over several days, running for roughly four days between 22nd and 25th. This is pretty exciting for us, as it means exposure to a much wider range of weather conditions. 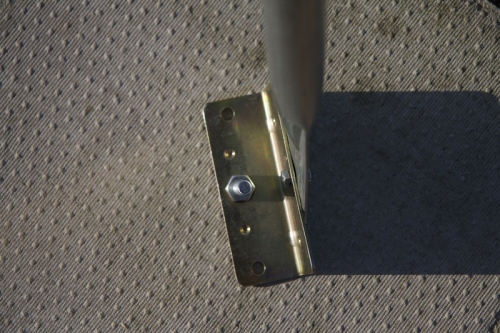 Though sponsored by the festival, access to the installation itself will be free, bar the cost of the ferry trip. 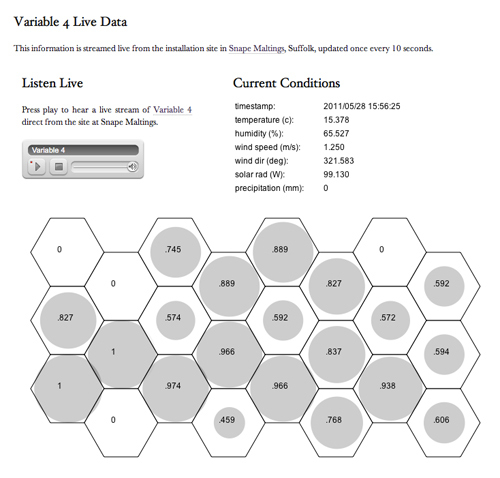 Underlying Variable 4 is a suite of Python code, with components to deal with various different tasks – interfacing with the weather station, navigating the global score, broadcasting data, and so on. There’s one part in particular that we’ve found useful in general usage: the pattern generation code, which can be used to describe, manipulate and generate sequences of musical events. We’ve finally cleaned this up for public release, and have christened it Isobar, from the notation used in meteorological pressure systems. In this context, it’s a way of notating music, in a concise and flexible manner. Isobar is a pure Python library which makes it easy to express musical patterns, and output them through MIDI or (soon) OSC devices. It’s inspired by SuperCollider’s excellent pattern library, which allows patterns to be combined like building blocks to create easily extensible compositions. To get it: download Isobar from GitHub. Please note that this is a beta release, meaning that all features and syntax are subject to change. The above creates a simple looping sequence (PSeq) based on increasing integers (or, if used as MIDI outputs, chromatic notes). Each value is repeated once (PStutter), and alternating notes are transposed an octave up. This is then used to output a sequence of numbers. Note that patterns can simply be added together to transpose values. Many other operators can be applied in similar ways: for example, doing seq * 2 will double every value of a pattern, using lazy evaluation for no additional processor usage. This example binds a pattern to a MIDI device, and uses a random walk (PBrown) to play values from a particular Scale. A Timeline object is used to schedule MIDI events at a given BPM, and plays them through the default MidiOut device. By assigning this pattern to the ‘notes’ value, its output is used to generate a series of pitches. We could assign a separate pattern to the ‘amp’ value, to control the velocity of each note. Many more examples are available in the isobar distribution on GitHub, with an up-to-date index of pattern objects in the README. We’ll be continuing to work on Isobar extensively over the next few months; see the TODO file for forthcoming developments. Fresh from the cutting room, this short documentary film explains the concepts and infrastructure behind Variable 4. 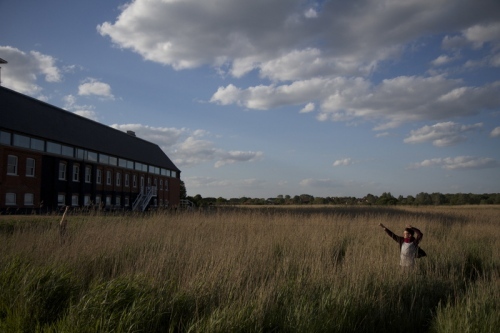 With beautiful footage by filmmaker Drew Cox, and soundtracked by excerpts from the Snape Maltings installation, we hope it gives a much more illuminating overview than a description ever could. 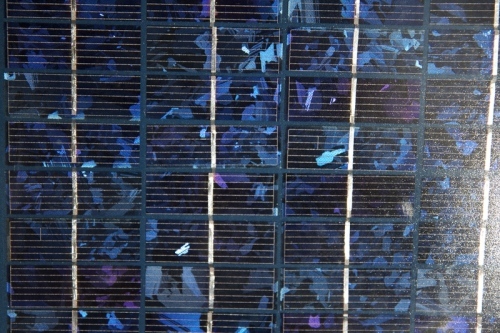 Thanks also to the Creators Project, for recently featuring this video (and an interview) on the Creators Project Blog. 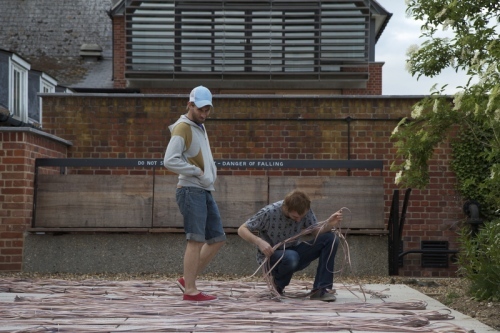 It also features Culture Lab’s first ever podcast, in conversation with James about the piece. Listen here. Another interview has also been published recently on Dazed Digital, alongside some staggering photographs by Drew Cox. Read here. Some exciting plans are also emerging for Variable 4′s next appearance, in the changeable autumn. More on this very soon. We’re very excited to have one last addition to the night we’re curating this Wednesday at The Book Club. Writer and curator Daniela Cascella will be joining us on our sound art panel, discussing sound-related practices from composition and storytelling to the issues involved in curating, presenting, documenting and archiving live sound works. Alongside an extensive history of curation, Daniela has written for Frieze, The Wire, Sound and Music, Il Giornale della Musica, and many more. We’re delighted to have her along. 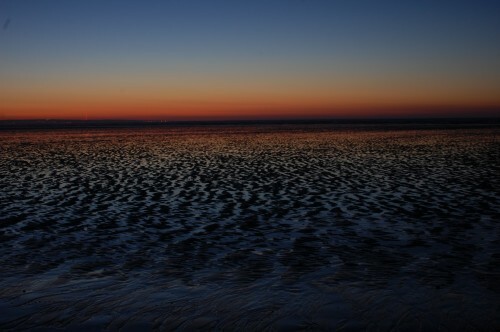 On 22nd June, we are holding a Variable 4 showcase, discussion and post-Aldeburgh celebration at The Book Club, EC2. 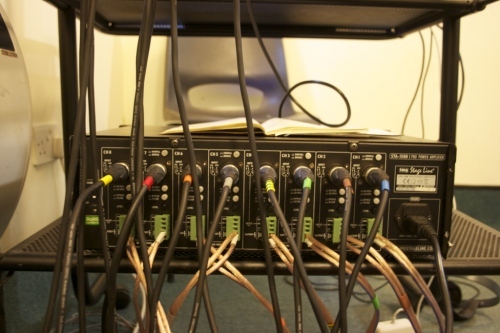 We’ll be presenting the piece and showing audio and video excerpts, demonstrating how it works under the bonnet and introducing some of the musicians and technicians involved with the piece. Alongside this will be an informal panel discussion on sound in art, featuring some luminaries within the field: producer Joana Seguro (Faster Than Sound, Lumin), curator Cecilia Wee (Sound and Music, Rational Rec), BAFTA award-winning sound designer Nick Ryan (The Fragmented Orchestra, Papa Sangre), and writer and curator Daniela Cascella. 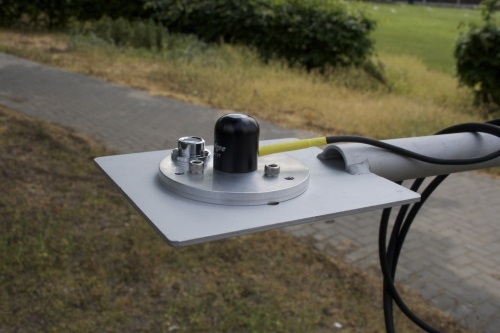 We’ll then be doing an eight-channel DJ set featuring some of the spatialisation methods devised for the piece — controllled with a windvane and anemometer interface. 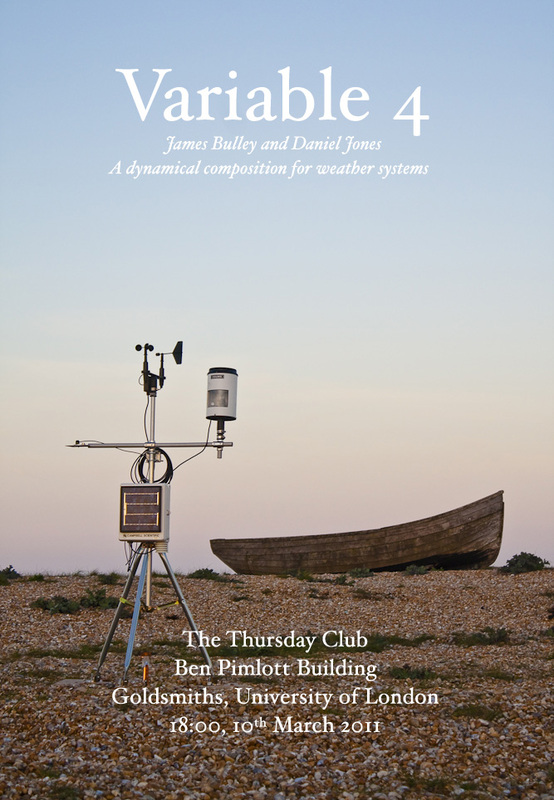 The world’s first meteorological DJing, as far as we know. The event runs from 7pm on 22nd June, just off Curtain Road, Shoreditch. On Twitter: Joana Seguro, Cecilia Wee, Nick Ryan, TBC. 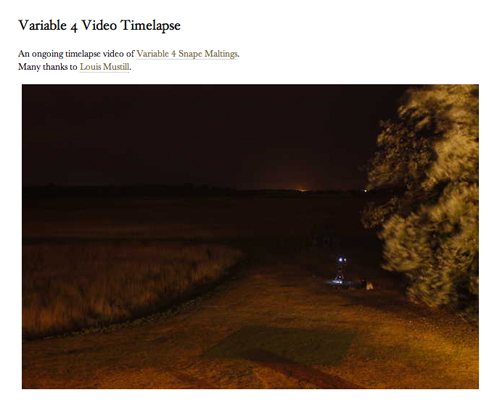 Selected photos from our 24 hours of Variable 4 Snape Maltings photographs, courtesy of Louis Mustill. 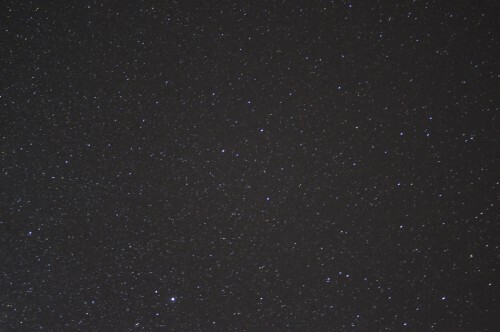 We’re twelve hours into Variable 4 Snape Maltings and layering up for nighttime under the Suffolk sky. 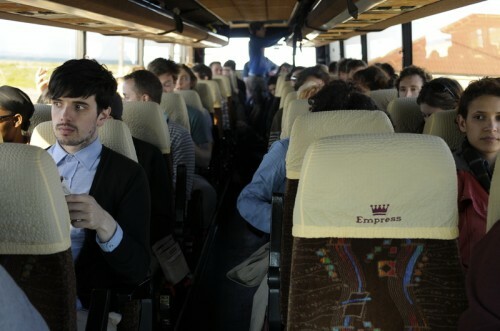 Thanks to everybody who caught the coach to join us this afternoon — after a long period of grey skies, the sun eventually broke through to herald its departure. Remote viewers can listen to our audio stream, and view a fantastic ongoing timelapse video of the site courtesy of the endlessly skilled Louis Mustill. 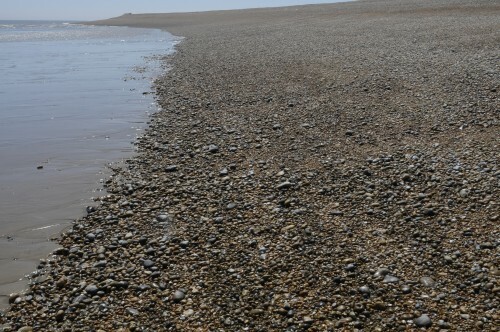 Snape Maltings weather forecast for today: something for everyone. The ideal conditions for Variable 4. Here in Aldeburgh, the first couple of days of setup have been arduous but fun. Thanks to herculean efforts, we’ve now got speaker trenches dug, circuitous cable runs laid, an operational weather station, an ad hoc surround-sound mixing room with iOS remote controls, a networked outhouse via festooned CAT-5, some lightboxed signage and — imminently — a beautifully-printed artists book to mark and document the installation. To integrate Variable 4 seamlessly into the landscape, we've opted for the route of embedding the speakers into the ground with individual chambers. This has meant some heavy excavation into some very dry ground. Many thanks to Dave, Louis and Tom for some major earth shifting. 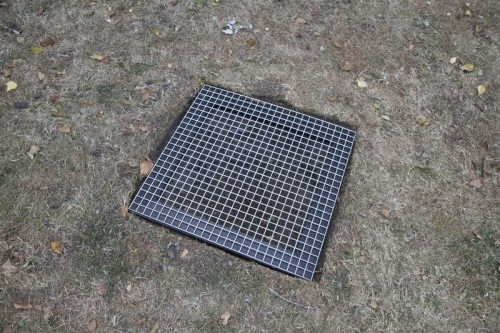 The first complete ground-embedded speaker chamber. 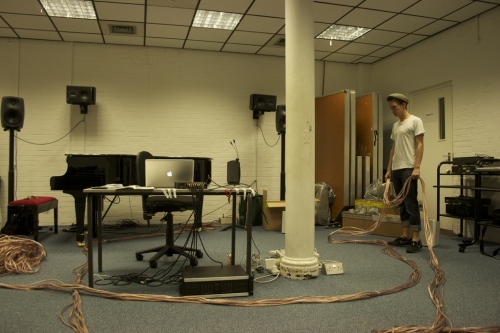 Dave and Louis wade through the mire of speaker cabling. No network access is available in the Dovecote studio. Thanks to some heroics from Faster Than Sound's Tom, however, we're now the proud operators of an airborne CAT5 network. 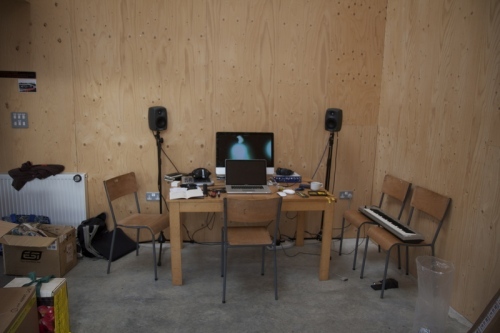 Our composition space in the Dovecote. 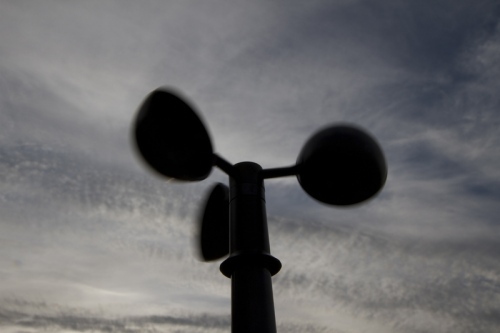 Wiring up the weather station in heavy gales. 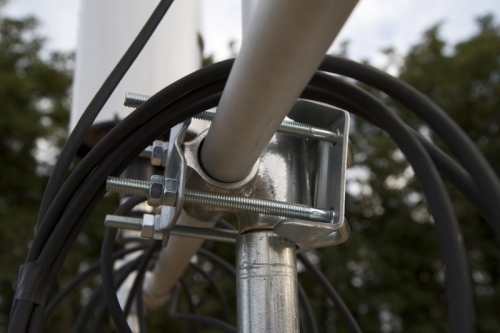 More circuitous cabling, here deploying the weather station's data cable across a reed field. 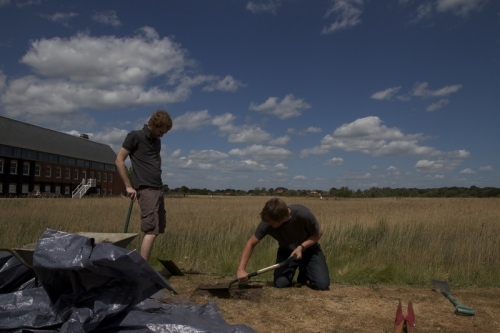 We’re departing early tomorrow morning to spend a week’s residency at Aldeburgh, to install, develop and fine-tune the piece in situ. 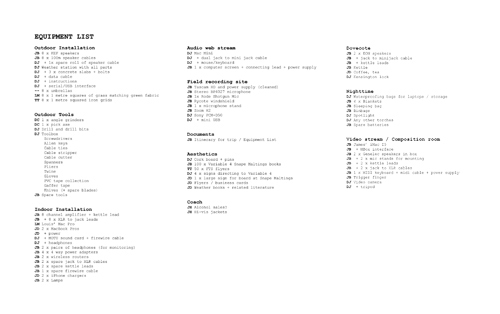 To assemble the requisite vanload of materials and equipment without losing the remnants of our sanity, we’ve created the longest kit list known to humankind. Behold. one year exactly since variable 4 dungeness. 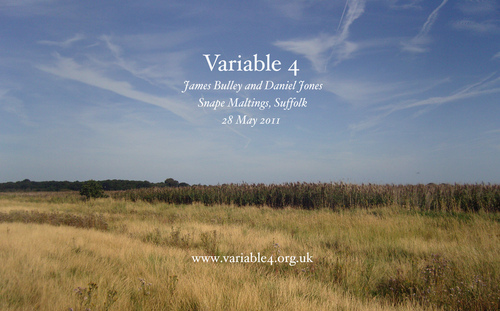 one week exactly till variable 4 snape maltings. 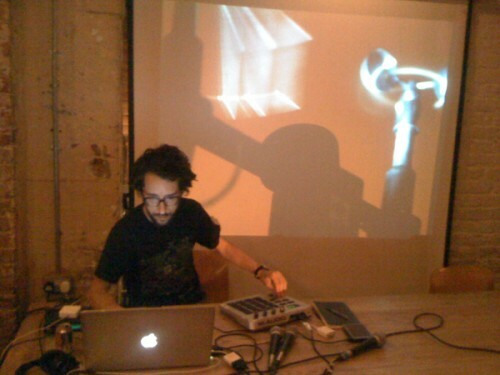 Much of the development of Variable 4 has taken place at Goldsmiths, University of London, split between the multiple studios of the EMS (former home to Daphne Oram and much pioneering electronic synthesis) and the GDS (new home to a cutting-edge motion capture setup with 3D audio and projections). We’ve also received logistical funding from the Goldsmiths Annual Fund, an excellent endeavour to support a diverse range of projects through alumnal donations. 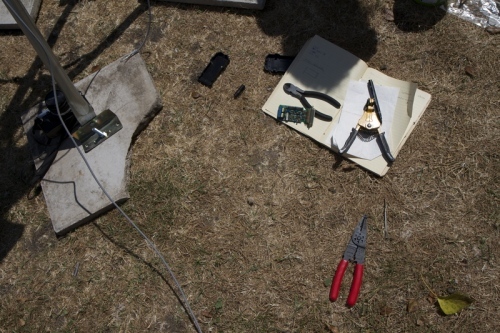 We thus thought it apt to select Goldsmiths as the site of a showcase and public testbed for the installation, over the course of 6 hours yesterday. This turned out to be an invaluable dry run for the newly-enlarged score and algorithmic setup, and attracted a number of inquisitive visitors. Beholding the prospect of an afternoon's cable-sorting. Much of our setup and multichannel mixing has been done here in the Goldsmiths Electronic Music Studios, formerly home to the likes of Daphne Oram and her radiophonic peers. 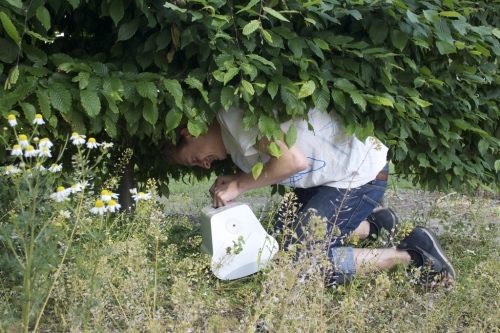 Wiring up one of the eight weatherproof speakers, under camouflage of shrubbery. Dealing with health and safety issues. Thanks to Ollie (pictured) for his invaluable help with installation logistics. Back in the installation HQ. Organisation nerds take note of our cunning alphabetical colour-coding technique: blue (1), brown (2), green (3), green-yellow (4), grey (5), orange (6), red (7), yellow (8). The installation up and running. 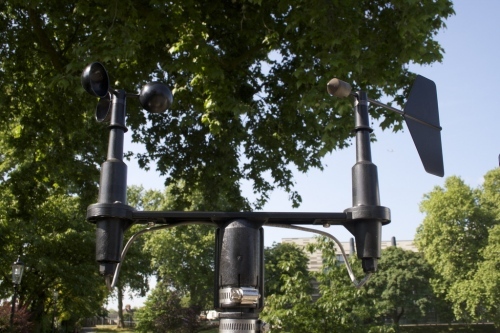 Weather station detail: Wind vane and anemometer. Competition: Win two coach tickets to Variable 4/Soundfields! 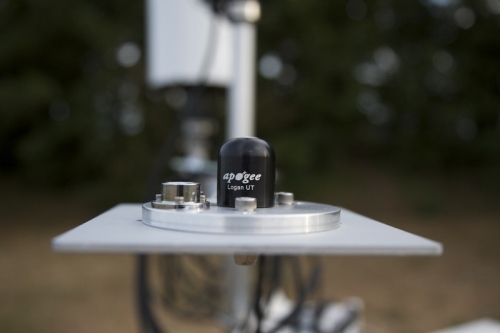 Because it’s a sunny Friday and we’re celebrating a highly successful Variable 4 field test yesterday, we’ve decided to give away a free pair of coach tickets to Variable 4 at FTS: Soundfields on 28th May. These will shuttle you direct from London Liverpool Street to Aldeburgh for a sound-art daytrip to the Suffolk countryside (travel details). To enter: simply send an email to competition at variable4.org.uk, subject “Competition”, by 7pm Friday 20 May. We’ll notify the winner on Saturday morning. 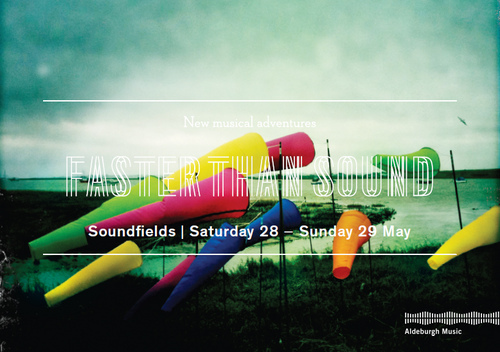 For the day of the Snape Maltings installation, we’re delighted to once more be operating a direct coach journey from London Liverpool Street to the site of Variable 4 and Faster Than Sound: Soundfields. 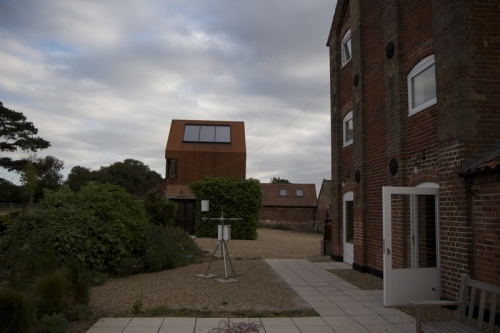 At less than half the cost of a train ticket, and running direct to Snape Maltings, it should hopefully save visitors time and money, and provide a memorable day trip to the Suffolk countryside melded seamlessly with cutting-edge sound art. Book your coach ticket here. Bookings are done securely through Paypal, with a limited number of discounted early-bird tickets for those quick off the mark. Journey to Variable 4 Dungeness, May 2011. We’re delighted to finally bring news of further Variable 4 happenings. This May, almost twelve months on precisely, we’ll be taking the piece to new terrain courtesy of Faster Than Sound and Aldeburgh Music. 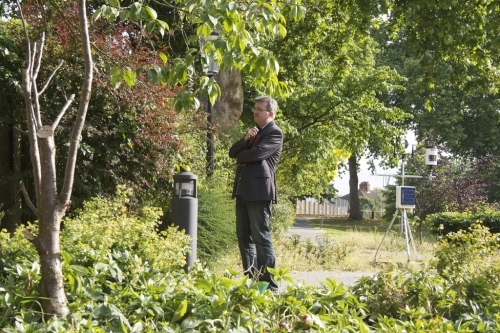 As part of FTS: Soundfields, the work will be alongside as Bruce Gilbert, Beaconsfield ArtWorks and the fantastic Blast Theory, making a triumvirate of immersive sonic art. Sited on the expansive reed fields beyond the Snape Maltings concert hall, Suffolk (local map, google map), it will be in striking contrast to the desolation of Dungeness. We’re currently in the midst of rewriting the score from ground up, developing new algorithmic methods to link together distant parts of the piece, and in the studio with a number of fantastic musicians. More reports on this in the coming weeks. Finally, we’ll be previewing Variable 4 prior to Faster Than Sound with an afternoon-long installation in London. This will be taking place sometime in early May, near to the digital studios at Goldsmiths, University of London. Dates will be confirmed very shortly. Over the winter months, we’ve been working on some blueprints for Variable 4′s next steps. We’ll shortly be making a formal announcement of what these will be; suffice to say, we’re thrilled at where it is going next. In the meantime, we are talking about the project at this week’s Thursday Club, New Cross, an excellent weekly series of talks based at Goldsmiths, University of London. We’ll be discussing the genealogy, development and concepts behind Variable 4, talking about how we see it fitting into both its cultural and physical landscape. 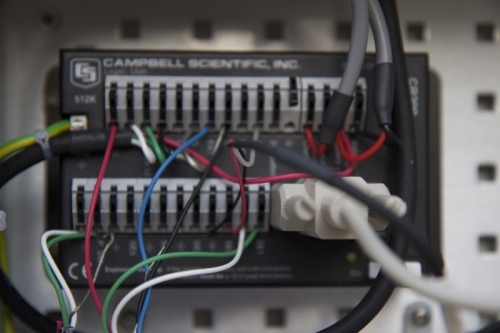 For those of a technical disposition, we will have a look under the bonnet at how the software infrastructure is wired together. And, most excitingly, we’ll be giving a sneak preview of its next appearance. 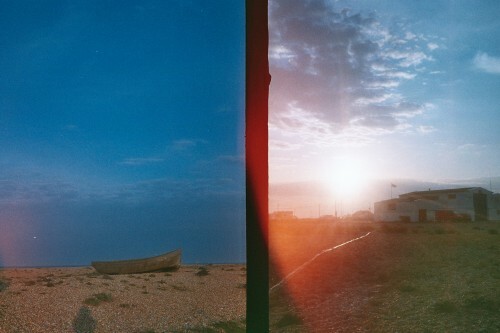 A selection of our favourite landscape photographs taken during the Dungeness installation. 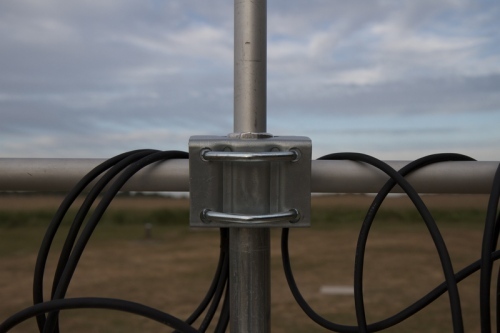 A lovely short film of the May installation of Variable 4 in Dungeness made by Rich Millington, who travelled up by coach to experience the event.